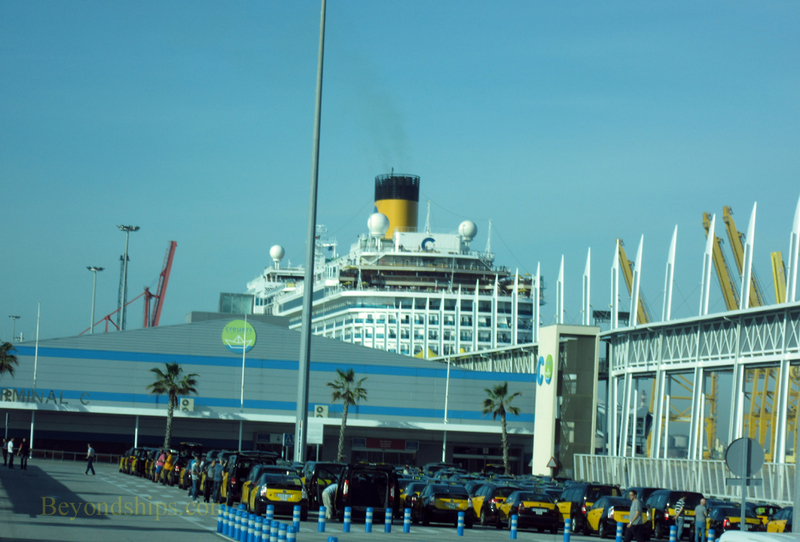 Barcelona is one of the busiest cruise ports in Europe. Recently, there have been more than 750 cruise calls a year involving some 2.3 million passengers. 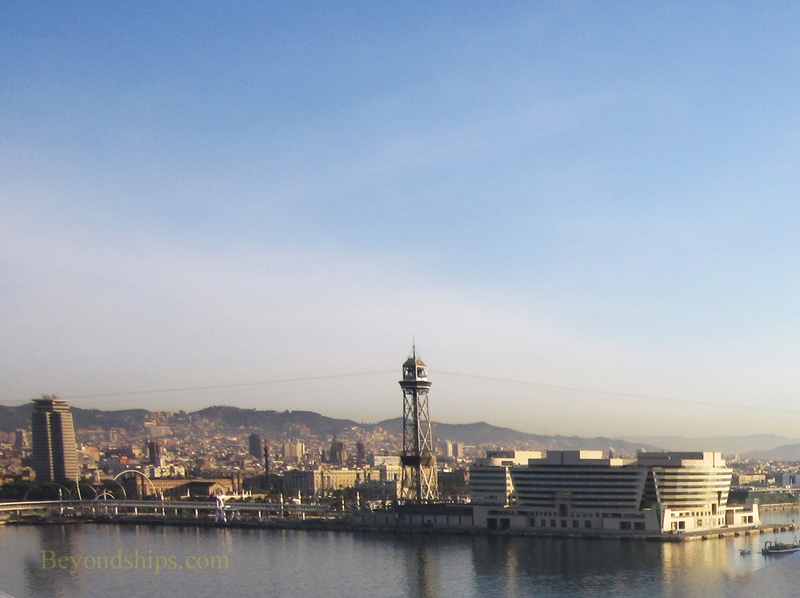 Barcelona is both a port of call and an embarkation port where cruises begin. 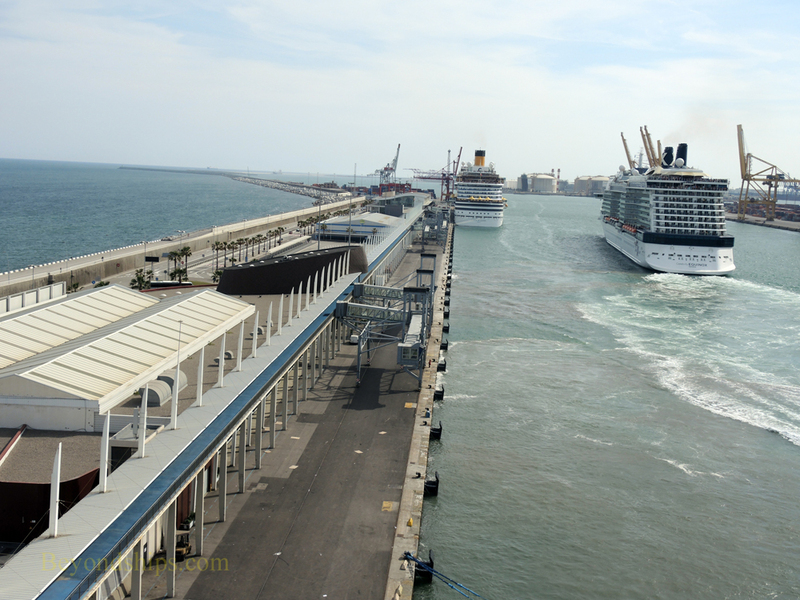 The cruise port is part of the general port of Barcelona. 8,500 ships of all varieties use the port each year. 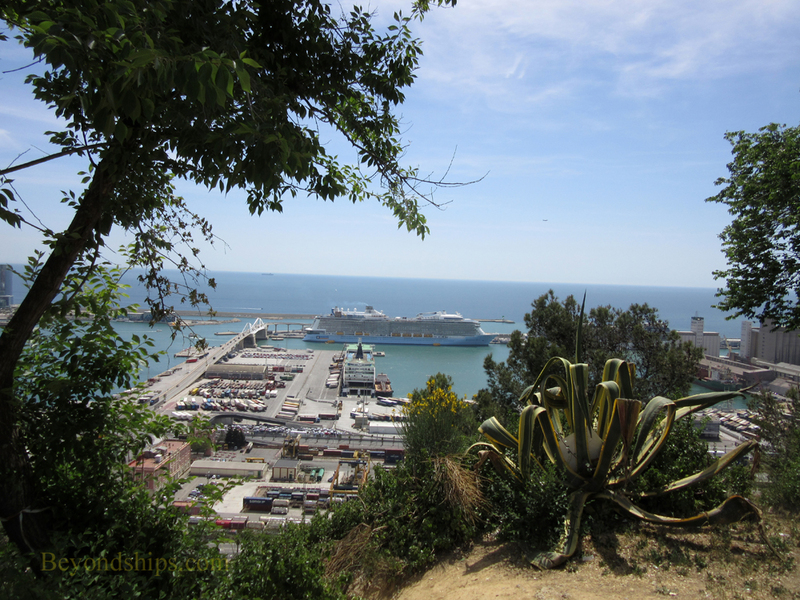 As a result, facilities for cargo ships and ferries are visible from where the cruise ships dock. However, the cruise ships have their own dedicated facilities. 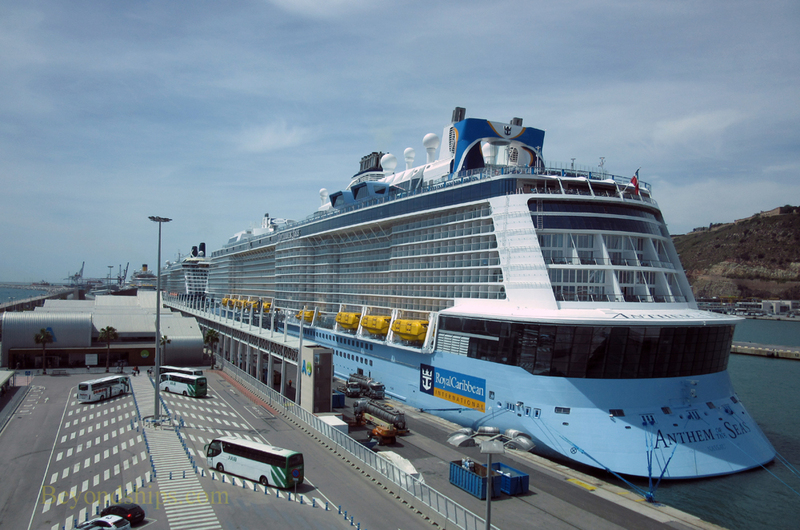 Barcelona currently has seven cruise terminals. The North South and East Terminals are located by the World Trade Centre. Terminals A, B, C, and D (also called the Palacruceros Terminal) are located on Adossat Quay along a sea wall. An eighth terminal to open in 2018 is planned for the Adossat area. The World Trade Centre terminals are within walking distance of the Christopher Columbus Monument, which lies at the base of Barcelona's most famous street La Rambla. It is also possible to walk from the Adossat terminals to the Columbus Monument but it is a very long walk requiring you to traverse a bridge that links the Quay to the mainland. 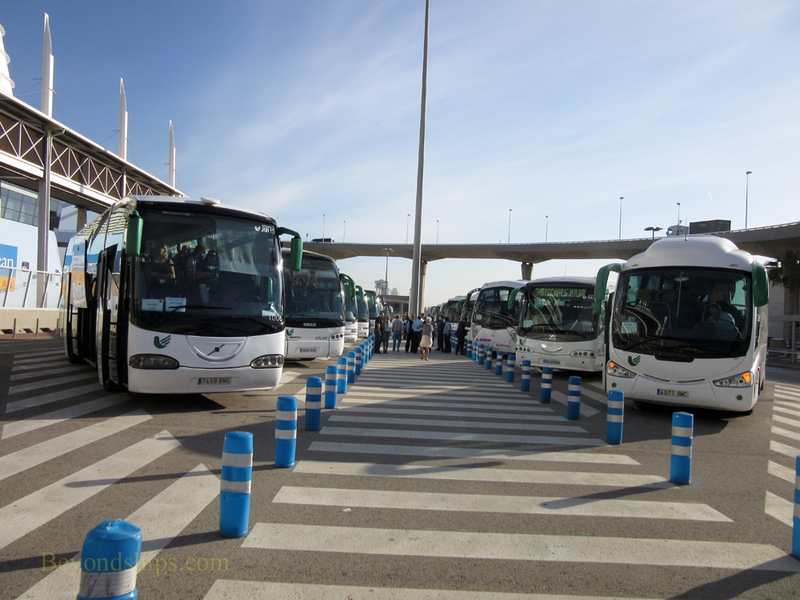 The port operates a shuttle bus (T3 port bus) that runs from the terminals to the Columbus Monument. Some cruise lines also run their own buses. The Monument is a stop for the hop on, hop off buses and is not far from the Drassanes metro station. Above: The Adossat Quay area is where most cruise ships dock. Here, we see Celebrity Equinox and Costa Diadema. Below: Looking toward the World Trade Centre area. 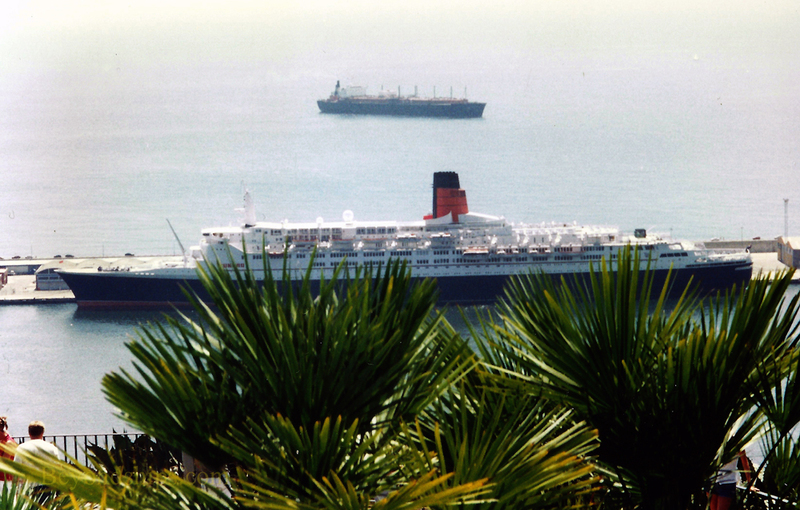 Above left: The legendary Queen Elizabeth 2 (QE2) during a port call in Barcelona in 1997. Above right; Anthem of the Seas at Terminal A in Adossat Quay. Below left: Shore excursion coaches outside of Terminal A. Below right: Taxis outside of Terminal C.